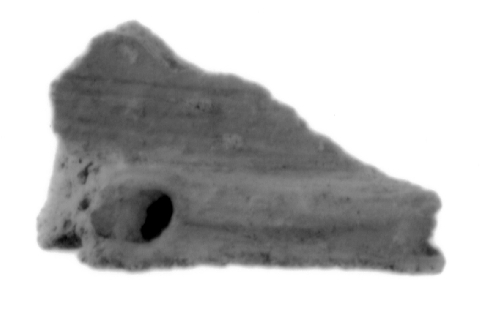 Description Fragment of a pan tile preserving two finger impressions. The upper surface of the tile is finished. There are three horizontal striations next to the flange which rises perpendicular to the tile. On the upper surface of the flange, one finger mark and portions of another are preserved. The lower surface of the fragment is unfinished.